It's an industry best practice to bump test your gas detectors before each day's use, and OSHA regulation 1910.146 requires that gas detectors used in potentially hazardous locations be calibrated regularly. 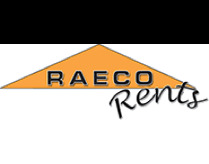 So, if you're renting RAE Systems personal or portable gas monitors, you'll want to be sure to include an AutoRAE-2 system in your rental. RAE Systems AutoRAE 2 system makes it easy to do a daily bump test and calibrate your portable RAE Systems gas monitors. It runs without a computer, and uses a standard SD card for easy data storage. Kit Includes: Control module, calibration dock, power cable, tubing, USB cable, ethernet cable, and carrying case. Control module, calibration dock, power cable, tubing, USB cable, ethernet cable, and carrying case.